Federal Reserve will raise rates this week, but what comes next? 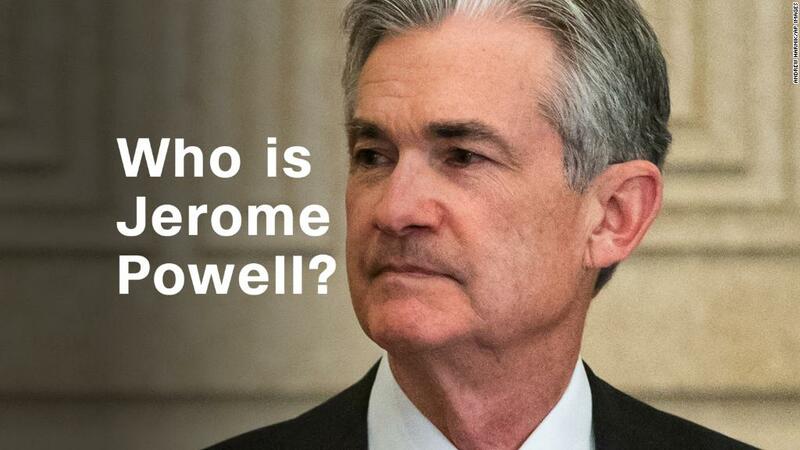 The Federal Reserve is all but certain to lift interest rates when Jerome Powell leads his first meeting as chairman later this week. The bigger question, however, is what will the Fed do next? For years after the financial crisis the US central bank has followed a consistent path of slowly raising rates to keep the economy humming without causing it to overheat. But a recent $1.5 trillion tax cut and $300 billion spending bill, along with an improved economic outlook, have more recently changed that calculus. The Fed may have to raise rates faster than it had planned to prevent the economy from overheating. Markets expect with near certainty that Powell and members of the Federal Open Market Committee will propose a rate hike Wednesday. Fed officials will also release their revised economic forecasts when they conclude their two-day policy setting meeting. Their forecasts will signal whether they now expect to raise rates four times this year rather than three. Powell will also take questions from reporters at his inaugural press conference. All will be listening for clues on what his future plans will be for the central bank's policies. Will Powell maintain the glide path set by predecessor Fed Chairwoman Janet Yellen? Or will he set a new course of faster rate hikes as the economy continues to pick up steam? Powell has already expressed confidence early into his four-year term that the next few years will be "good years for the economy" and that many of the challenges facing the economy have faded into the background. He's also pointed to fiscal policy as one reason his economic outlook has strengthened since December. Powell's bright economic outlook last month helped to raise investor expectations that faster interest rate hikes may be on the way. "Recent strengthening of labor market conditions along with the passage of substantial fiscal stimulus measures in Washington, has raised the possibility that some FOMC policymakers might decide that a faster pace of policy tightening would be appropriate this year," Kevin Logan, chief US economist at HSBC wrote in a note to clients. Wall Street firms like Goldman Sachs and UBS Securities predict the Fed will revise its estimate to four rate hikes this week. But not all of Wall Street is entirely convinced. "We think it's too early for the committee to signal that it is prepared to hike four times this year," Michael Gapen, a Barclays analyst wrote in a note to clients. "We see that as more likely in June." While a few members of the FOMC may up their predictions, it's unlikely to change the current median estimate of three rate hikes in 2018, according to some Wall Street analysts. One reason for Fed officials to take a wait-and-see approach at the upcoming meeting is to ascertain what the anticipated effect tax cuts will have on the economy. The other major factor is to see whether there's further evidence inflation is rising. The Fed's preferred gauge of inflation stands at 1.5%. But central bankers expect it to "move up" this year and data show it was already "a little bit higher" by the end of last year. "Until there is clear evidence that inflation is accelerating, we do not think that the committee will break continuity with the policy path laid down by former Chair Janet Yellen for gradual rate hikes," Logan wrote. — Correction: An earlier version of this story misstated the amount of the federal spending bill.